Joan of France, was briefly Queen of France as wife of King Louis XII, in between the death of her brother, King Charles VIII, and the annulment of her marriage. After that, she retired to her domain, where she founded the monastic Order of the Sisters of the Annunciation of Mary. From this Order sprang the religious congregation of the Apostolic Sisters of the Annunciation and she was canonized on 28 May 1950 and is known in the Roman Catholic Church as Saint Joan of Valois, O. Ann. 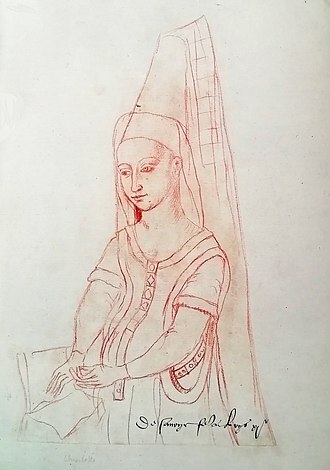 M. Joan was born on 23 April 1464 in the castle of Pierre II de Brézé and she was the second daughter of King Louis XI of France and of his second wife Charlotte of Savoy, her surviving siblings were King Charles VIII of France and Anne of France. Shortly after her birth, the signed an agreement to marry her to his second cousin Louis, the Duke of Orléans, King Louis XII of France. Jeanne was born sickly and deformed, in Women Saints – Lives of Faith and Courage, Kathleen Jones says that Jeanne had a hump on her back and walked with a limp, suggesting that she had curvature of the spine. 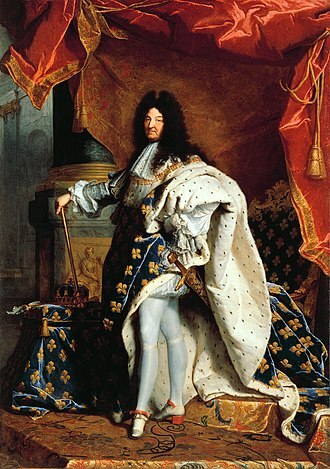 Often away on duties, King Louis entrusted his daughters and Anne, to the Baron François de Linières and his wife. The couple, who were childless, lavished affection on Joan, taking charge of her education, they had her taught both poetry and mathematics, painting and how to play the lute. 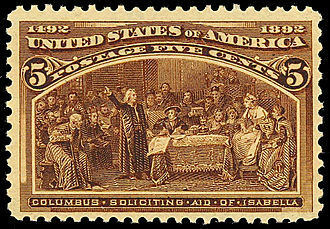 The couple were faithful Catholics and instilled in the members of their household a solid grounding in the faith, at a young age, her father asked her to name the confessor she wanted. She gave him the name she knew, that of Friar Jean de La Fontaine. 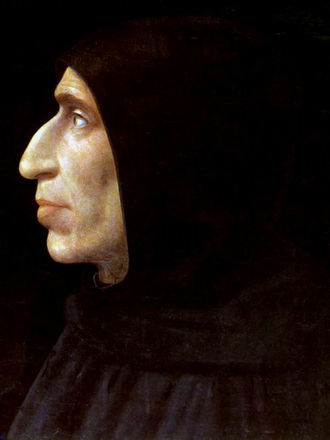 The king approved her choice and appointed the friar to this post, despite the distance between them, he would travel regularly to hear the princesss confession. Joan began to develop a strong pleasure in prayer, and would pass long periods in the castle chapel, the baron supported her in this and had a path paved between the castle and the chapel built for easier walking in poor weather. Under the friars guidance she was admitted into the Third Order of St. 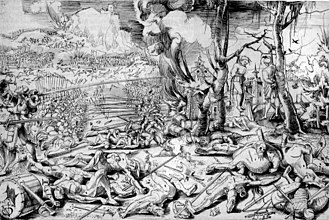 The Battle of Saint-Aubin-du-Cormier took place on 28 July 1488, between the forces of king Charles VIII of France, and those of Francis II, Duke of Brittany and his allies. The defeat of the latter signalled the end to the guerre folle and it effectively precipitated the end of the independence of Brittany from France. 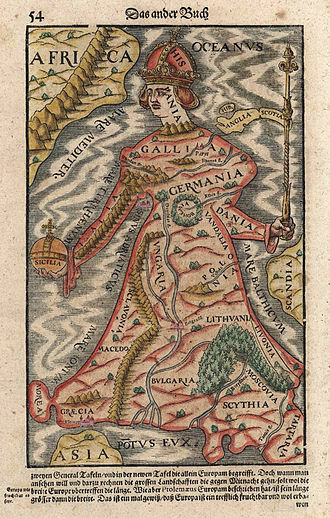 Brittany and England had been allied to resist the expansion of the French state. In the aftermath of the death of Charles the Bold of Burgundy in 1477, Brittany became the main base for the feudal aristocrats in the League of the Public Weal, an alliance founded by Charles the Bold to resist the centralisation of power in the king. 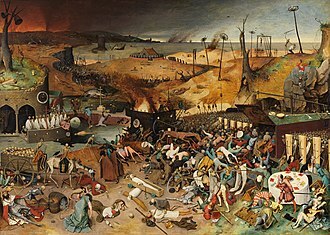 By 1488 the regime of Duke Francis had been weakened by conflict between his prime-minister Pierre Landais and a group of aristocrats led by the prince of Orange John IV of Chalon-Arlay. 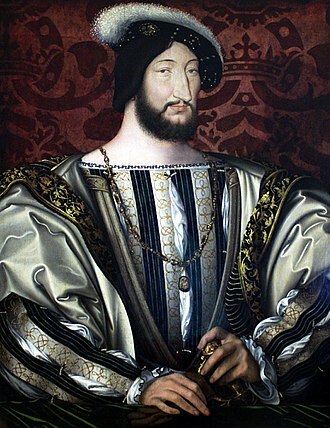 Landais was keen to strengthen ties with England and his opponents secured French support for an armed incursion to overthrow and execute Landais in 1485, after which Jean de Rieux became de facto chief minister. 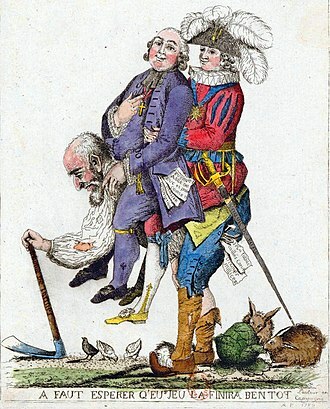 Rebel lords from the League, notably Louis dOrleans, had sought sanctuary in Brittany, the French saw this as a violation of royal rights, and demanded the return of the lords, asserting that they had the right to take them by force if Francis refused. 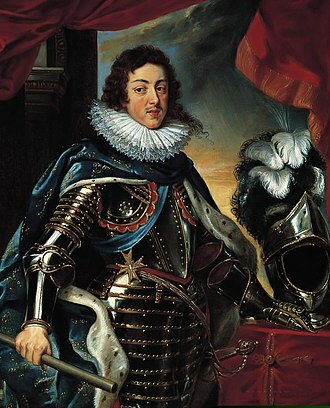 Under the leadership of Louis II de la Trémoille, the French royal army had struck against Vannes and Fougères, the French attempted to take control of the major strategic strongholds. 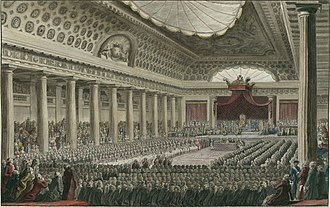 The Bretons had sought support from various lords and opponents of expanding French power. Alain dAlbret, a lord, believing he would marry Anne, had reinforced the Breton army with 5000 troops supplied by the king of Spain. 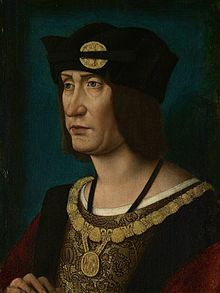 Maximilian I of Austria sent 1500 men, Henry VII of England was approached for support, but refused to send troops and instead attempted to negotiate a deal with the French to stop the invasion. However the English knight Edward Woodville, Lord Scales, defied Henry, despite this concentration of forces the Breton alliance was still significantly outnumbered. 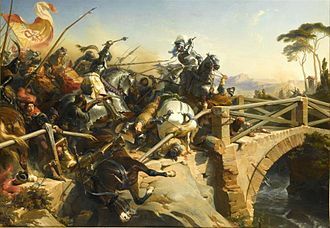 It was further weakened because Maximilian I was diverted by a rebellion in Flanders, the Breton forces thus comprised a mix of local troops with Gascons, English longbowmen and non-Breton aristocrats who were challenging royal power. 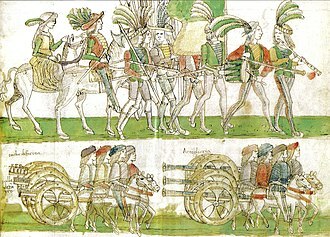 The French army included Swiss and Italian mercenaries, and some pro-royal Breton noblemen and it had the most powerful artillery of the era. The Breton commander de Rieux positioned his forces on a ridge around a mile to the south of Mézières-sur-Couesnon, French forces arrived at the field in disparate groups, with no idea that the Bretons were so close. The Bretons initially had the advantage that the French were fragmented, Lord Scales and de Rieux were in favour of a rapid attack on the French before they could manoeuvre into effective battle order, but dAlbret insisted on redeploying his troops. 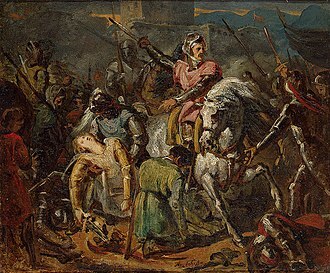 As a result, de la Trémoille had time to place his army in a defensive formation, the Breton vanguard under Lord Scales led the attack in an arrow-head formation. 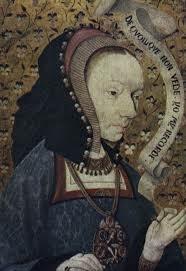 Claude of France, was Sovereign Duchess of the Duchy of Brittany after her mother and Queen of France by marriage to Francis I. Claude was born on 13 October 1499 in Romorantin-Lanthenay as the eldest daughter of Louis XII of France, because her mother had no surviving sons, Claude became heiress to the Duchy of Brittany. The crown of France, could only to and through male heirs. 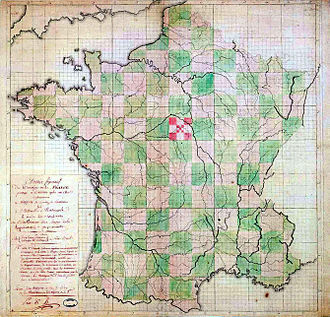 Eager to keep Brittany separated from the French crown, Queen Anne, with help of Cardinal Georges dAmboise, promoted a solution for this problem. 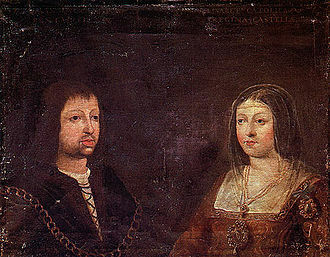 A part of the contract promised the inheritance of Brittany to the prince, already the next in line to thrones of Castile and Aragon, Austria. 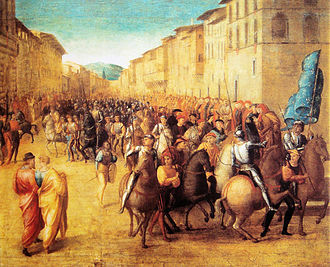 Thus, all the causes of the rivalry between Charles V and Francis I were decided even before the succession of the two princes. Indeed, previously Louise of Savoy obtained from the king a secret promise that Claude could be married to her son, Anne of Brittany, furious to see the triumph of Marshal of Gié, exerted all her influence to obtain his conviction for treason before the Parliament of Paris. On 9 January 1514, when her died, Claude became Duchess of Brittany. 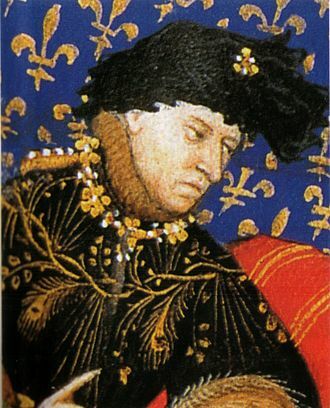 With this union, it was secured that Brittany would remain united to the French crown, the union was short-lived and childless, Louis XII died less than three months later, on 1 January 1515, reputedly worn out by his exertions in the bedchamber. Francis and Claude became king and queen, the time in history that the Duchess of Brittany became Queen of France. As Queen, Claude was eclipsed at court by her mother-in-law, Louise of Savoy, and her sister-in-law and she never ruled over Brittany, in 1515 she gave the government of her domains to her husband in perpetuity. 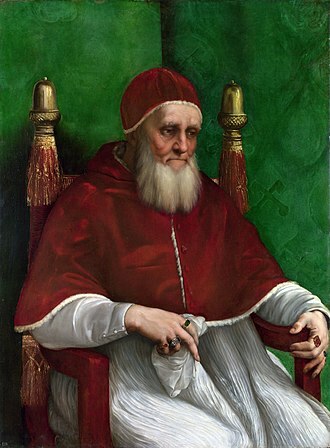 Gabriel Miron repeated his functions under Anne of Brittany and remained as Chancellor of Queen Claude and first doctor, after Francis became king in 1515, Anne Boleyn stayed as a member of Claudes household. Its assumed that Anne served as Claudes translator whenever there were English visitors, such as in 1520, Anne Boleyn returned to England in late 1521, where she eventually became Queen of England as the second wife of Henry VIII. The Battle of Saint-Aubin-Du-Cormier as imagined by Jeanne Malivel in 1922. The Monument to the Union of Brittany and France in Rennes, designed by Jean Boucher in 1911. 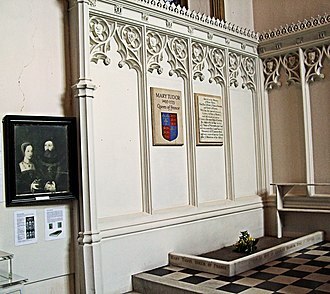 It depicts the meeting of Duchess Anne and King Charles VIII. The monument was destroyed by Breton separatists in 1932.